Film star turned politician Nandamuri Balakrishna enthralled thousands of his fans and other guests at the valedictory function of Visakha Utsav in Vizag last night. Speaking on the occasion, Balakrishna called for sharing of responsibilities by the citizens of the state along with the government authorities to make Andhra Pradesh a smart state in the country. Balayya also ensured that Vizag, the city which survived the HudHud Cyclone, awaits a much brighter future ahead. Buoyed by the over frenzied atmosphere, Balayya even uttered several punch lines from his blockbuster hit ‘Legend’ and cheered up his fans. Prior to this, Balayya also visited the Flower Expo organized by the VUDA officials and was mesmerized by the beauty of various varieties of flowers. 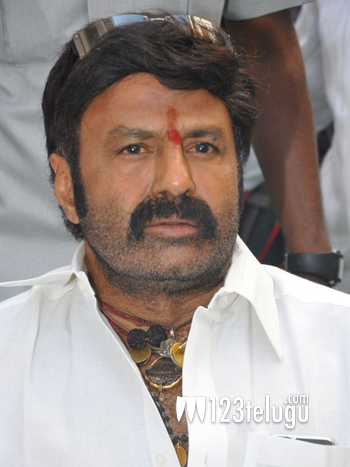 Balayya is fast finishing the shoot of his latest film ‘Lion’. The film’s first look stills and teaser are already a huge hit among his fans.